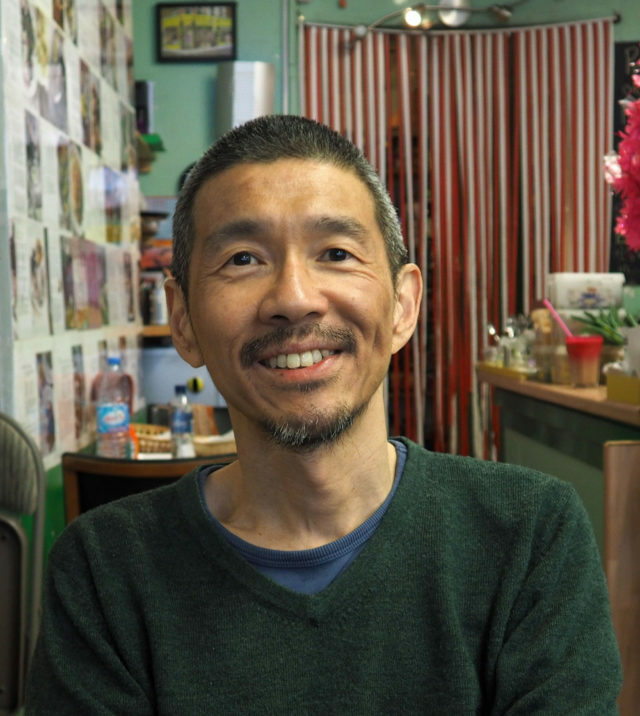 We have interviewed Richard Lim, managing editor of the seminal "Rough Guide to Malaysia, Singapore & Brunei", on Penang. What does the maker of one of the world's most popular guidebook series think of the direction the island is taking? Brace yourself. I know you visited Penang for the first time when you were very young and came back just recently for a Rough Guide update. What do you think of it, in general? As a guidebook writer, why do you think it is so attractive to tourists? Yes, I visited Penang briefly as a boy, in 1974. Then when I started working on the Rough Guide to Malaysia, for several editions I generally preferred to do other parts of the country, so I didn’t make it back to Penang until 2014. I was pretty delighted with the place – a lot of George Town reminds me of the Singapore of my childhood (although you could say that about many other parts of Malaysia, too – in a sense Malaysia is always several steps “behind”). And I didn’t really remember much of George Town anyway, because on that childhood visit I was largely in Batu Ferringhi. For me, the major attraction of Penang is George Town. There’s a relaxed air about it and it has that special multicultural feel of an old Straits Settlements city, which is what it is after all. Some of the street life is intact and the temples are busy. And it’s relatively well set up – I was impressed by the public transport (not something you can say about most of Malaysia). There’s quite a lot of gentrification going on in Penang these days, and the general attitude to become as safe and clean as a ‘next Singapore’. What do you think about it, as a Singaporean? Well, I haven’t lived in Singapore for most of my adult life, and I think this is something that transcends Singapore versus Malaysia anyway. It’s eternally true that both countries would improve if they learned from each other. Malaysia, in general, could be better organised and have a more transparent government; Singapore should learn to let its hair down and be more organic and less top-down. 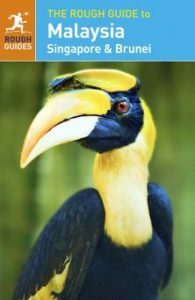 The latest edition of “the Rough Guide to Malaysia, Singapore & Brunei” published in 2015. A new edition is being updated and will be released in 2018. Coming to gentrification specifically, it is always a mixed bag. Investment creates jobs and wealth, and it helps preserve important buildings and monuments, but locals may not be the main ones to profit. George Town is changing at an alarming rate – things aren’t so bad in the UNESCO zone but in the buffer around it, it seems to be a free-for-all, as far as I can tell. Lots of cash seems to be flowing in from places like KL and Singapore, and every couple of months you seem to find a new wannabe boutique hotel or hipster café springing up. Can George Town become another Singapore, and would that be a good thing? Well, of course, the systems aren’t the same, and in Singapore, the state is often the main landlord, which is one reason it can exercise such fine control over historic central streets. I’d guess that doesn’t apply in George Town. But anyway, if George Town keeps gentrifying, sooner or later you’re going to lose the “intangible heritage” thing that’s so fundamental to its UNESCO listing as well as to certain types of tourists: the buildings will stay and look beautiful, but the old ways of life will be gone. Of course, that’s happening because of education and cultural shifts, and not just gentrification. So what will George Town look like in 20 years? Will it be like Singapore’s Chinatown, where most of the old clan houses and shophouses are converted into modern businesses? I don’t know. But it wouldn’t necessarily be a disaster if it happened – it might just be inevitable. I know Malaysians who say Singapore’s Chinatown has lost its character, but they overlook the fact that it has acquired a new one, just like a lot of central areas of historic cities like London or Berlin (and I don’t hear people complaining that much about those places). Maybe the most painful thing is when you are, say, 75% modern and 25% traditional – then people can see that the old ways are on their deathbed. Once you’ve transitioned almost fully into some kind of modernity, hopefully, you’ve matured into something else, and that’s OK.
Other Malaysian cities like Ipoh are taking the ‘heritage’ route in Penang’s footsteps. I know that you appreciate Ipoh, and would like to ask how do you think it’s different from Penang. Where do you think the future of Ipoh’s tourism is going? Much as I really like Ipoh and have close friends there, I don’t see it ever becoming a big draw for Western tourists, although locals might come. Ipoh just doesn’t have enough proper attractions to tempt foreigners. But the old town is a cool place, although gentrification again is a mixed bag. How do you see the future of Penang, especially in terms of tourism? That’s very hard to foresee because some of it depends on politics and that’s messy in Malaysia, as we all know. What I guess we can hope for is that development includes dialogue, that it’s sensitive and not the “government knows best” approach that still dominates in Singapore; it has to feature a lot of input and involvement from the rakyat, if that’s not a cliché. And let’s hope that cultural institutions continue to thrive, whether it’s old temples or things like the George Town festival (I think that’s almost an institution by now). That does mean that conservation has to take precedence over business, certainly in the heart of the UNESCO zone. At last, what would you change, if anything, in Penang? Actually not very much, although I was a bit disappointed with the botanic gardens – it feels like it needs more specific, eye-catching attractions, although I’m not quite sure what they ought to be. And although Penang Hill is fun (I do remember that from my 1974 trip, too), it does feel a bit like a jumble at the top, with no coherence. That could be improved – and I don’t mean “modernised”.